KRP1SM is a Low Profile Adjustable Angle Floodlight Bracket, Suitable for 150w - 500w Enclosed Halogen or LED Floodlight, PIRs & Cameras. The KRP1SM is positioned closer to the wall than the standard KRP1. 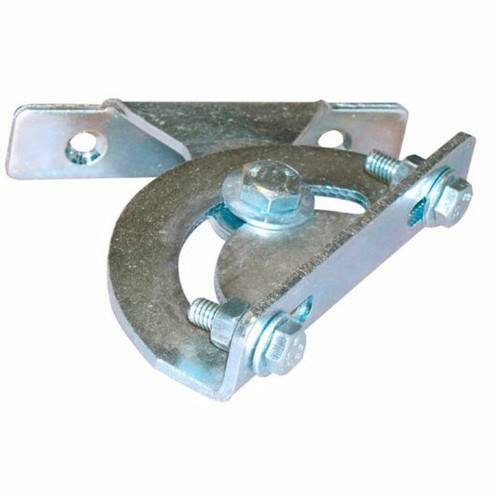 Fixings are supplied with all brackets. However, different fixings may be required depending on the construction of the wall to be mounted on. Please also see our large selection of LED Floodlights to work in conjunction with this bracket - LED Floodlight Range. Looked for a new bracket to replace an existing, rusted item. This one is sturdy, highly adjustable and just what I was looking for. The bracket isn't as long as the original that it replaced and so there is less of an offset of the light from the wall, which again was perfect for my needs. With fast delivery from Electrical Europe, this was a great purchase. Pleasantly suprised to find good long screws and rawl plugs included. Bracket well made, thick metal and substantial nuts & bolts, well worth the price. Great product, sturdy and well made. The product was shipped the same day I ordered it, great experience shopping at Electrical Europe. Excellent, robust, reasonably priced bracket. Seems to do the job acceptably well, but it would be nice to have the choice of a black powder coated version. Also, it is slightly over priced for what it is, but it saved me time going out looking at local sources.